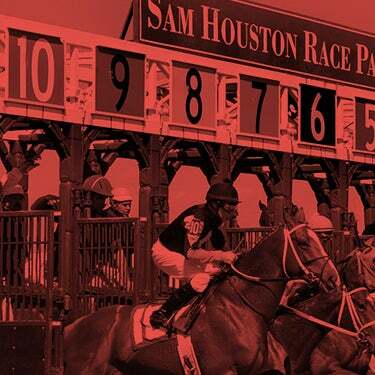 Live Quarter Horse returns to Sam Houston Race Park on Friday, April 28 with the popular 50-cent Beer Friday from 6-9 pm. Seven trials for the John Deere Juvenile Challenge Championship will be contested with the ten fastest qualifiers returning for the final on Saturday, May 20. On Saturday, April 29, live racing gets underway at 6:10 pm with three stakes highlighted by the richest race of the 2017 Quarter Horse meet, the $483,600 Sam Houston Futurity (G2). The card will also feature the $197,700 Sam Houston Derby (G3) and the $48,360 Sam Houston Juvenile. In between races, Sam Houston Race Park will host the Derby Dog Dash with some of the fastest small dogs in Houston including Wiener Dogs and Corgis. 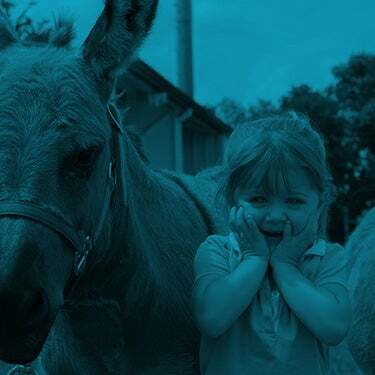 Families are invited to bring their four-legged friends to view the races trackside or in the air-conditioned comfort of the pet friendly Pavilion. Following live racing on Saturday evening, Roger Creager will perform on the Bud Light Stage presented by H&H Tents and Bull Shirts. Sam Houston hosted two nights of trials on Friday, April 7 and Saturday, April 8 for the richest race of the Quarter Horse season, the $483,600 Sam Houston Futurity (G2). The eighth trial of the first evening of trials produced the fastest qualifier when Kas Tempting posted an impressive gate-to wire debut under rider Luis Vivanco. Bred by Francisco Javier Garza and co-owned by Garza and Roberto J. Laurel, the son of Tempting Dash out of the Make It Anywhere mare Beaukas is trained by Jose Sanchez. The bay colt won his 330-yard trial in :16.740, into a nine mph head wind, by a margin of 2 ½ lengths. Sanchez was not surprised by the exceptional debut by Kas Tempting, a $16,000 repurchase at the 2016 Heritage Place Yearling Sale in Oklahoma City. Kas Tempting was ridden by Luis Vivanco, but Manuel Gutierrez will ride the fastest qualifier Saturday night as Vivanco will pilot Lj Fastest Time. The son of The Louisiana Cartel is also trained by Sanchez and bred and owned by Vivanco’s wife, Elizabeth. Sanchez’s younger brother, Angel, also has two finalists in Saturday night’s feature: Nocturnes and Capital Ice. Nocturnes, an Ivory James colt, is owned by Agustin Hernandez and will be ridden by Raul Ramirez, Jr. from post position nine. Angel Sanchez teamed with Ramirez with another Ivory James colt, Ivan James in the 2015 Sam Houston Futurity. Jody Garcia’s Capital Ice, also by Ivory James, was one of three horses tied with the fifth-fastest clocking of :16.984 on day one of the trials. The bay gelding won the shake for the final over Krash N Diamonds and Daddys Blushing. He will break from the far outside post under rider L. Salvador Martinez. In addition to the Vivanco and Sanchez family ties, there is another interesting link shared by two finalists trained by Leon Bard. This Is A Deal Too and This Is An Eagle have the same dam, First Down Dash mare Lady Lilia. Pete Scarmardo’s homebred This Is A Deal Too set the second-fastest time of Friday’s nine trials, winning the fourth race by 1 ½ lengths under jockey Francisco Calderon. The son of Dealagame broke his maiden in :16.740. Scarmardo, who has been honored as Sam Houston Race Park’s leading Quarter Horse owner three times, is the breeder of This is an Eagle. Owner Mary G. Lynne Thompson purchased the talented colt for $100,000 at the 2016 TQHA Yearling Sale. He continues to impress both Bard and Calderon. Calderon, who won last year’s Sam Houston Futurity with Just Call Me Carter, is in total agreement with Bard. Leading Sam Houston trainer Judd Kearl won the 2011 Sam Houston Futurity with Jess Tee Off. His finalist this year is Lena Cartel, a Carters Cartel filly bred by Bobby Cox and owned by Meg and David E. Brown. She was a sharp winner by 1 ½ lengths on Saturday night, timed at :17.040. Her pilot will be Rodrigo Vallejo who has won the prestigious championship a record four times. “I liked this filly and thought she would be one of my better 2-year-olds,” said Kearl. 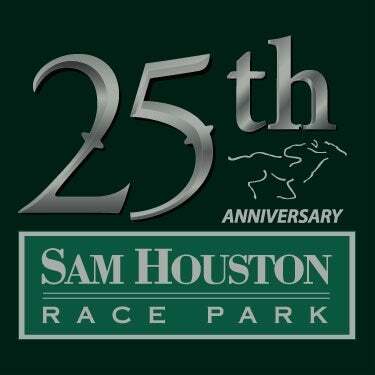 The winner of the Sam Houston Futurity, which had its first running in 1994, will earn a check in the amount of $193,440. This year's champion will join a noted list of the Sam Houston Futurity winners, including 2014 AQHA Champion 2-year-old Kiss My Hocks (2014) and Azoom. who won 11 races in 2004. Other notable winners include Snowy Alibi, Sassmaster, Especially Tres, Ivan James and Jess Tee Off. Eight trials for the $197,700 Sam Houston Derby (G3) were contested on Friday, April 14 and a very talented group of 3-year-olds will compete in Saturday’s 350 yard final. Making his first start this season Dash Quick Perry, a Down N Dash homebred racing for owner/breeder Pete Scarmardo, won his trial in :17.356 to set the fastest qualifying time. Leon Bard trains the sorrel gelding, who will be seeking his fifth career victory under jockey Francisco Calderon. Bard also trains the sixth fastest qualifier, Pamela Stone’s homebred, Sochi Special, who will be ridden by L. Salvador Martinez. Trainer Rolando Almanza will saddle Maxx, son of Pyc Paint Your Wagon, who recorded the second-fastest time in his trial victory. Owned by Irma Z. Vargas of Grand Prairie, Texas, Maxx won the 2016 John Deere Texas Juvenile Challenge (G3) here last May and went on to qualify for the $1 million Texas Classic Futurity at Lone Star Park. Jockey Manuel Gutierrez has the return call on the 2-1 betting choice. Almanza also conditions Eagle Cry, a son of leading sire One Famous Eagle, for owners Irma and Giovanni Vargas. Jockey Cipriano Vidana will ride. 2016 AQHA Racing champion trainer Judd Kearl saddled three trial winners including One Sweet Merlot, a son of One Sweet Jess for owners David Jones and Mark C. Cowan. He has won three of his five career efforts, including the John Deere Retama Park Juvenile Challenge last August. Jockey Jose Alvarez will ride One Sweet Merlot, with Rodrigo Vallejo opting to ride fourth fastest qualifier So Rapido. The Corona Cartel colt is owned by Rachuan Suarez and qualified to the Texas Classic Futurity. The $48,360 Sam Houston Juvenile, at 330 yards, will get stakes action started on Saturday evening. The field is comprised of 2-year-olds that competed in trials for the Sam Houston Futurity three weeks ago, but did not qualify. Entry to the Sam Houston Juvenile was granted with preference to their trial time. Current Sam Houston leading trainer Judd Kearl teams up with Rodrigo Vallejo on Krash N Diamonds. Bred and owned by Bryon Gardner, the son of Krash Cartel ran second to This Is A Deal Too and was one of three horses tied with the fifth-fastest clocking of :16.984 on day one of the trials. As previously mentioned, the shake for the final went to Capital Ice over Krash N Diamonds and Daddys Blushing. Trainer Leon Bard won the 2015 and 2016 edition of the Juvenile, lighting up the toteboard last year with Tac My Time ($26.20) for owners Marco Ramirez and Gary Hartstack. Hartstack owns Daddys Blushing, a gelded son of Big Daddys Cartel, who broke his maiden on April 7. Francisco Calderon opted to ride the 9-2 third choice. Bard will also saddle Just Another Natural, a filly bred and owned by T.C. Flack. Rider L. Salvador Martinez will pilot the daughter of Furyofthewind. 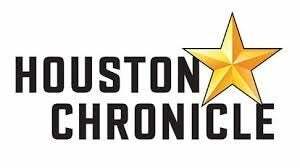 The Sam Houston Juvenile will run as race eight, followed by the Sam Houston Derby with the Sam Houston Futurity to be run as the tenth race of the card. Almada Racing’s Borger Boy got his first victory on Saturday, April 22 with a neck win over Chula Kid to set the fastest qualifying time for the $41,757 Bank of America Texas Maiden Challenge at Sam Houston Race Park. The son of Bigtime Favorite won his 350 yard trial in :17.584 seconds, earning a 94-speed index. Josue Ponce saddled the 3-year-old who was in the money in four of seven starts including a third-place effort in the West Texas Juvenile at Sunland Park. Santos Carrizales qualified both Borger Boy and Boogie TotheTop for the final, both for Ponce.